Starling Bank is getting ready for its Irish licence and Brexit with the launch of euro accounts to provide its UK customers with a way to hold, send and receive the currency for free. Starling says its “Euro Account” is the first of its kind from a UK digital bank, with no monthly fees. It revealed this plan, among others, at the very beginning of this year. With Brexit coming soon (possibly), the move is also preparation for an Irish banking licence. 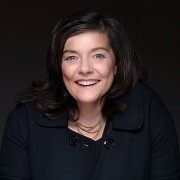 In fact, on Twitter, the bank’s CEO, Anne Boden, is in Ireland today (4 February) talking about the payments industry with the Irish Department of Finance. The plan for this Irish licence was reported in June 2017 when it received a banking passport into Ireland. The bank said this was “its first step in its plans to provide services to European markets”. The account, which will be rolled out on a phased basis, has been designed for UK residents for travel or business. For those who conduct a lot of transactions in euros, the bank says the new account can also help reduce exchange rate risks. According to the bank, “thousands of customers” have signed up to the waiting list for the accounts since it opened in September. Euro Account holders will initially be able to hold, send and receive payments in euros. Later this year, Starling personal account debit cards will be enabled to work with the account. The account features many of the smart money management tools in Starling’s sterling personal current account, although there are no overdrafts or loans. Customers must have a Starling personal current account to open a Euro Account. Once it’s open, they will be able to transfer money from their personal account to their Euro Account at market exchange rate with no mark-up.